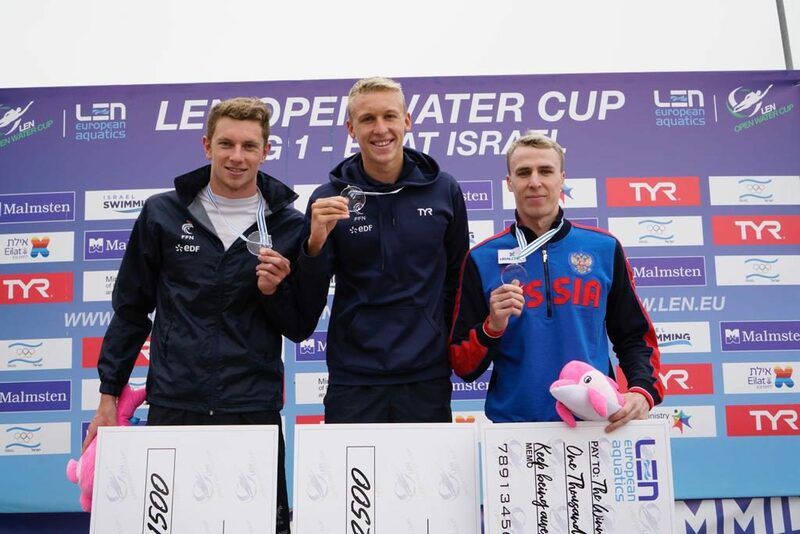 The French swimmers dominated the opening leg of the 2019 LEN Open Water Cup in Eilat. World champions Marc-Antoine Olivier and European bronze medallist Lara Grangeon claimed the respective titles. 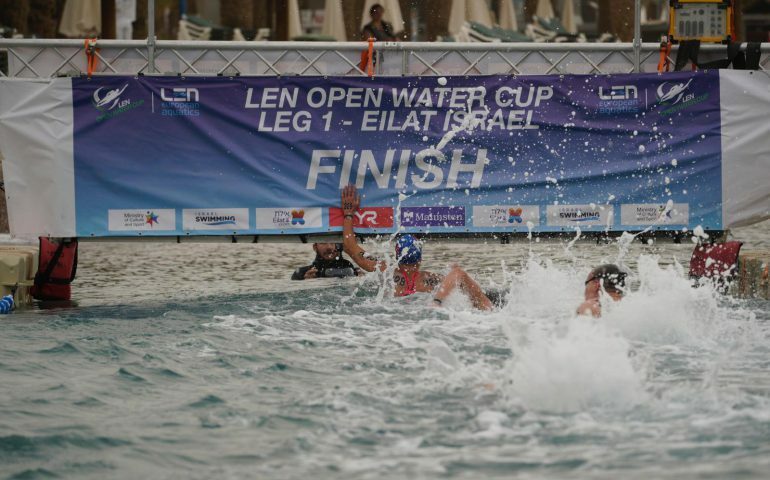 France, the best nation at the last edition of the World Championships in 2017, clinched five of the six medals on offer in Eilat, at the first leg of the new season’s LEN Open Water Cup. The 10km races were swum amidst perfect conditions in the Red Sea and the world-class French ruled most of the race. In the men’s event, towards the end a pack of four escaped from the others and world and European champion Marc-Antoine Olivier came up with the best effort in the finish and touched in 1.8sec ahead of compatriot David Aubry. Russia’s Kirill Abrosimov managed to take the bronze, ahead of junior world champion Logan Fontaine, also from France. Britain’s world class swimmer Jack Burnell finished fifth 26 seconds behind the winner, a bit surprisingly 25km world champions Axel Reymond (FRA, in 2017) and Simone Ruffini (ITA, in 2015) couldn’t make the top eight this time. Among the women it was the French all the way, the top three staged a thrilling neck-to-neck finish. Lara Grangeon, bronze medallist at the 2018 Europeans over 25km, upset world champion Aurelie Muller by out-touching her by 0.7sec. Junior world champion Oceane Cassignol came third further 0.9 sec adrift while home hero Eva Fabien hit the panel fourth. The first leg offered an outstanding event as 70 male competitors lined up for the start (65 crossed the finish line), while the women’s race featured 51 swimmers, almost like a continental championship.